Call 888-749-6559 to book at this special price. Or click on the TICKETLEAP link below to book online! What are you doing this holiday season? Same old Same old? Let Chere Amie bring some holiday cheer into your season! Board our yacht for a cruise around the Bay! The Parade of Lights is a spectacularly festive show against the backdrop of the San Diego skyline. And with a delicious 3-course dinner, holiday music, and great company you will have an enchanted evening—we promise! 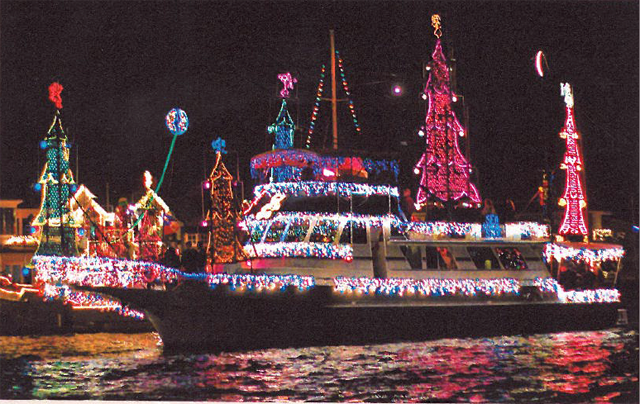 Chere Amie wants to invite you aboard for the San Diego Bay Parade of Lights!